Sorry, as the Christmas season is over, the tree is no longer available. However it will be back up again next year, so check back on it then. 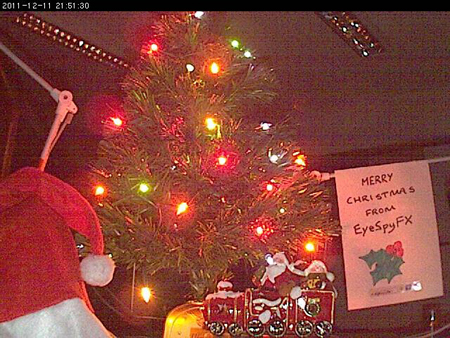 The EyeSpyFX Christmas Cam is back. See our office Christmas tree & whatever other decorations we’ve thrown in. The Christmas Cam is also featured on our World Cams application. So it should get plenty of visitors this year. Merry Christmas from everyone in the EyeSpyFX Office.